Sunspot Literary Journal speaks truth to power through the power of words and art. The name derives from areas of lower temperatures on the sun’s surface. Because of the brilliance surrounding these areas, sunspots are not visible to the naked eye, just like the celebrity rehab stories that drown out unique and creative work. Launched in January 2019, the journal is dedicated to hearing every voice. Writing and art that is thoughtful, evocative, and created with exceptional skill fill the pages. The authors and artists supported by the journal might not be social media influencers, but they still have something to say. Publisher Laine Cunningham has worked in the industry for over twenty years. As an award-winning writer, ghostwriter, and consultant, she taught for the Loft Literary Center and was a regional liaison for the National Writers Union. She is often approached by authors desperate to break free from stereotypes applied by publishers and literary agents. After following the VIDA Count, which quantifies the dismal state of diversity in the publishing industry, Cunningham produced Writing While Female or Black or Gay. Although the book helps underserved voices succeed, even that wasn’t enough. She launched Sunspot Literary Journal to support authors and artists from every background. The contests run by the journal will tie into that mission. One will focus on novels, while another will push microfiction to its extreme. The inaugural A Single Word Contest, is indicative of Cunningham’s approach. The theme revolves around a single word that has become weaponized in modern society. The word’s impact is so potent that contest listings refer authors to the website to view the word. Another critical part of Sunspot’s approach is publication of long-form works. Authors can submit poetry up to 120 pages in length while prose can run up to 29,000 words. Some of the most important poetry ever written is long. Financial considerations also mean that fewer journals are able to publish long-form prose. Sunspot will provide an important avenue for these significant forms. The journal produces four digital-only quarterly editions per year. These editions are free to the website’s visitors and will be distributed through a monthly newsletter that will launch this summer. The digital editions will include visual art, photography, video stills, and graphic novel frames. The first year, Sunspot will produce one print volume by blending select pieces from the digital editions with new work. Barring solar flares, the number of print editions will increase in 2020. Special editions will publish contest winners as well as a number of finalists. All contests offer publication, a byline, and cash payments. The prizes will grow as more funding becomes available. One such current contest is the “100 Bucks for 100 Words” contest, which runs through the end of June. The journal is produced by Sun Dogs Creations out of Hillsborough. Cunningham serves as the senior editor, and several volunteers are helping with administrative tasks. The print edition’s designer is Angel Leya, an author who magically manages to write while chasing her young children around the house. Print edition: $25 plus shipping, or $25 with US shipping included via the Submittable portal. Open Call Deadline: May 31, 2019. Asheville—Asheville Wordfest returns April 12-14 for a free-or-by-donation festival celebrating poetry and stories. The theme for festival’s twelfth year is “Healing the Soul of Appalachia.” Maintaining a commitment to multicultural programming, Asheville Wordfest invites audiences and participants to venture deeply into spaces of tension and complexity in search of possibility with readings and workshops featuring poets, authors, artists, storytellers, and community facilitators. Asheville is rich with thought leaders and change-makers. Asheville Wordfest is an opportunity to spend a weekend writing and reflecting on each of our places in the world and our role in the human community. At Wordfest, poetry and creative writing are not commodities to be consumed but vehicles for spiritual and philosophical evolution. The festival is free and by donation for events with the exception of Word Storytelling at Attic Salt on Friday April 12. All donations will go to presenters and to the sustainability of the festival. In keeping with Wordfest’s vision of social and economic equity, donations allow each to give as they can. On Friday April 12 at 5:30 pm, the festival begins with a community screening of Hannah Gadsby’s one-woman show, Nanette, hosted by Mendy Knott and Laura Hope-Gill, who both founded the standing-room-only poetry series, Café of Our Own. Nanette opens the frame for the festival by drawing attention to the value of story and truth-telling. Storytelling continues with David Joe Miller, DeWayne Barton, and Lee Lindsay. On Saturday and Sunday, the classrooms at Lenoir-Rhyne Asheville fill with workshops in reflection, community-building, and writing, led by Asheville’s thought leaders and bridge-builders, including Byron Ballard, Sharon Oxendine of Lumbee Nation, Nickole Brown, Jessica Jacobs, Afrofuturist, Darrell Stover, Cherokee author and teacher, Cara Forbes, poet-editor Luke Hankins, and many more. Saturday’s Keynote features Dr. Michael Newton, globally renowned Gaelic scholar. Dr. Newton explores how the Scotch-Irish (or “Scots-Irish”) are often invoked to explain the history and characteristics of the Euro-American communities of Appalachia, claiming “Celticity” Newton asks whether this is an accurate historical and cultural claim. On Saturday night, Explore! Asheville presents a reading by North Carolina Poet Laureate [and NC Literary Hall of Fame inductee! – ed.] Jaki Shelton Green. Green’s poetry casts a canopy over all humanity, says festival founder and director Laura Hope-Gill, “Anyone who has felt their heart break can find shelter in her work. Anyone who has sought comfort in either spirit or community can find it in these poems as well.” Green and Hope-Gill share a commitment to poetry’s power to bind and heal, whether it be a person, a community, or the entire planet. The two will collaborate in piano-poetry duets at YMI Cultural Center on Saturday April 13 at 8:00 p.m. Also, reading with Jaki are Mildred Barya of Uganda, Lia Purpura, and Michael Hettich. With facilitators from ridges to foothills, from neighborhoods southside to north, Wordfest’s workshops offer models for written self-expression with time to create your own works. Asheville Wordfest is sponsored by Explore! Asheville, the North Carolina Writers’ Network, Amy Mandel and Katina Rodis, Lenoir-Rhyne University Asheville Graduate Center, Word Storytelling, David Hopes, Hotel Indigo, and Connie Regan-Blake. The 2019 National Book Awards are open for submissions, deadline: May 15. All books must be published by U.S. publishers located in the United States between December 1, 2018 and November 30, 2019. For the Fiction, Nonfiction, Poetry, and Young People’s Literature Awards, authors must be U.S. citizens, or if authors are non-U.S. citizens or have particularly complex immigration issues, there is a petition process. collected and selected poems by one author; and self-published books, provided that the author/publisher also publishes titles by other authors (Note: the Foundation may request the publisher’s catalog to verify this). Reprints, anthologies, and books published through self-publishing services such as CreateSpace are not eligible. Each Winner will receive a prize of $10,000. Each Finalist will receive a prize of $1,000. One Winner in each category will be announced at the National Book Awards Ceremony and Benefit Dinner on November 20, 2019. Fiction: Dorothy Allison, Ruth Dickey, Javier Ramirez, Danzy Senna (Chair), Jeff VanderMeer. Nonfiction: Erica Armstrong Dunbar, Carolyn Kellogg, Mark Laframboise, Kiese Laymon, Jeff Sharlet (Chair). Poetry: Jos Charles, John Evans, Vievee Francis, Cathy Park Hong, Mark Wunderlich (Chair). Translated Literature: Keith Gessen, Elisabeth Jaquette, Katie Kitamura, Idra Novey (Chair), Shuchi Saraswat. Young People’s Literature: Elana K. Arnold, Kristen Gilligan, Varian Johnson, An Na (Chair), Deborah Taylor. For more information, including full submission guidelines, go to: https://www.nationalbook.org/national-book-awards/submissions. We’ll have an exhibit table at The High Road Festival of Poetry and Short Fiction this weekend—come on out and see us! The festival takes place at the Embassy Suites in Winston-Salem. On Friday, March 22, at 7:30 pm, Clint McCown and cowboy poet Sean Sexton kick things off at Bookmarks downtown. There’s still time to register for many of the poetry seminars, including classes run by Laura Hope-Gill, Valerie Nieman, Grace Ocasio, Kai Carlson-Wee, and more. Still-open fiction seminars include those under the tutelage of Wendy Fox, Marjorie Hudson, Jen Julian, and Joseph Mills, among others. While the seminars do require a fee, there are many free events over the course of the weekend, including the Reading Room, featuring two open mic sessions and faculty readings throughout the day. In the Vendor Room, we’ll be hanging out with publishers and editors of journals, magazines, and books of poetry and short fiction, including Cave Wall, Charlotte Lit, Snapdragon: a Journal of Art and Healing, the NC Literary Review, and the NC Poetry Society, among many others. For more information, and to sign up for seminars (there’s still time! ), click here. 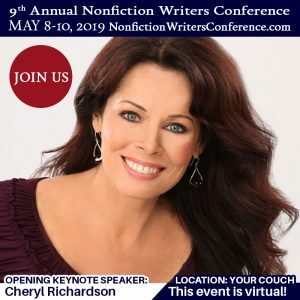 The Ninth Annual Nonfiction Writers Conference runs May 8-10, 2019, and here’s the thing: it all happens online! Which, as anyone who’s taken one of our online classes knows, can really be a blessing: no traffic, no risk of bad weather, no need to change out of your pajamas, really, in order to network and learn. There are fifteen live conference sessions. Registration allows access to the archived versions of these sessions as well; the closed Facebook group for the conference; typed transcripts of all sessions; and bonus content. For more information visit https://nonfictionwritersconference.com. PublishDrive recently became the first self-publishing platform to integrate Amazon advertising. Last month, PublishDrive introduced a built-in Amazon advertising tool, representing a first in the self-publishing industry. PublishDrive has released an updated version of the tool, which now supports advanced targeting options and is enhanced by proprietary AI technology. Together, these updates will help authors reduce costs from unwanted clicks and improve overall campaign performance. Previously, the tool supported automatic keyword targeting, which is great for authors who are new to advertising. With this option, Amazon matches the ad with relevant keywords and products that are similar to the book being advertised. The tool’s updated capabilities give advanced users more freedom and control to refine their advertising strategy. Manual Keyword Targeting: Users can handpick the keywords they want to target. Negative Keywords: Users can exclude keywords to prevent irrelevant traffic from driving up costs. Product Targeting: Users can target specific products to refine their campaign. AI Technology: Savant, PublishDrive’s proprietary artificial intelligence program, helps identify the most relevant products to target for optimal campaign performance. About PublishDrive: PublishDrive is a self-publishing platform that distributes ebooks to over 400 stores worldwide, including Amazon, Google Play Books, Apple Books, Barnes & Noble, Kobo, and more. As a partner in publishing, PublishDrive makes it easy for authors to manage global ebook distribution and marketing on a single platform. With their free ebook conversion, a built-in marketing suite, and flexible pricing options, authors can spend less time worrying and more time writing. For more information about PublishDrive, visit www.publishdrive.com or watch the tutorial video on Youtube. 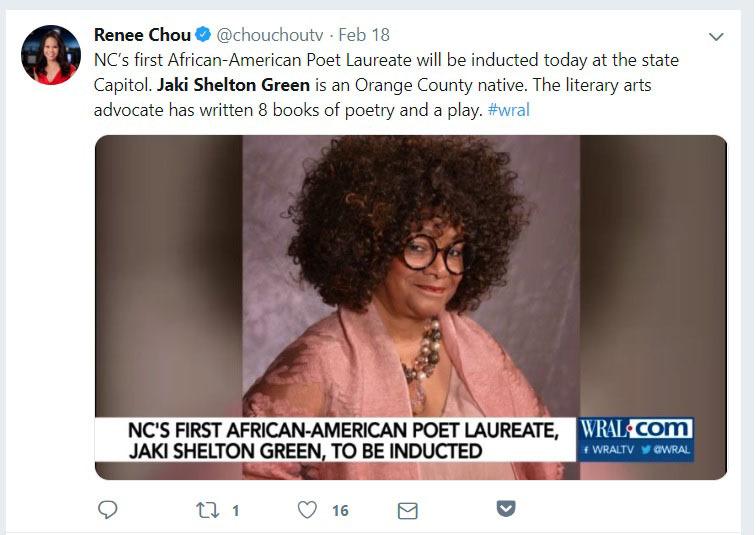 Jaki Shelton Green, a 2014 inductee to the North Carolina Literary Hall of Fame, was installed as North Carolina’s ninth Poet Laureate in a ceremony on Raleigh on Monday, February 18. If you’ve never seen Jaki speak or give a reading, though, we highly encourage you to get out to one of her many events this year. The ceremony was Standing Room Only, and filled very quickly, so if you weren’t able to be there in person, you can watch the complete ceremony here. She’s dynamic in front of a crowd, offering a quiet, insistent strength. Plus, her poetry both cuts to the Truth and offers its readers, or listeners, a way up and out of the turmoil we so often find ourselves in. She’s almost certainly going to be somewhere near you, and soon. Don’t miss her! The North Carolina Arts Council has put together a master calendar for Jaki’s upcoming events this year. 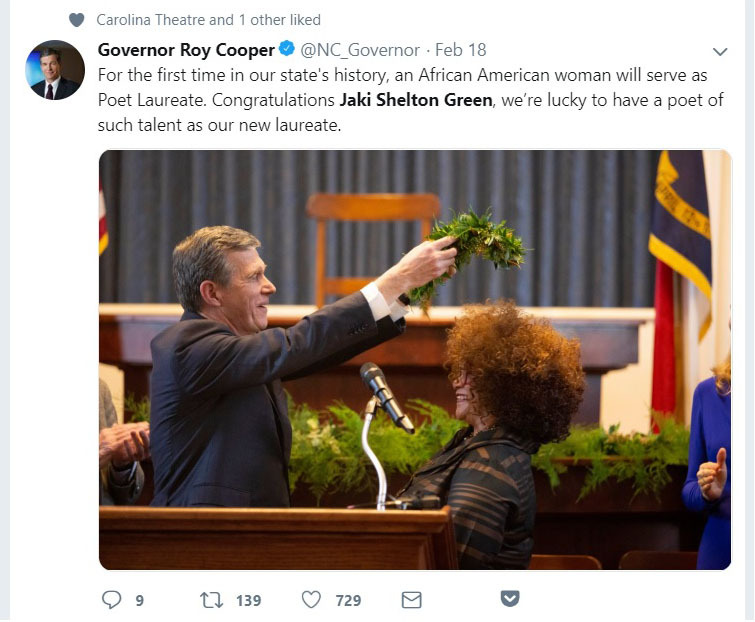 Filed in Uncategorized | Tagged Governor Roy Cooper, Jaki Shelton Green, NC Arts Council, NC Literary Hall of Fame, nc poet laureate, poetry | Comments Off on Don’t Miss NC Poet Laureate in 2019! For more than 30 years, Nancy Trovillion has served as the Deputy Director of the North Carolina Arts Council, and it has been my privilege to work side by side with one of the most talented arts visionaries in the nation. Nancy is not only a co-worker but a mentor and a friend. For these reasons, it is with mixed emotions that I share the news that Nancy will retire at the end of August. Since joining the Arts Council in 1988, Nancy has helped shape the state’s arts industry with insight, creativity, and a passion that has contributed to our growth as a nationally recognized arts agency. With quiet tenacity, Nancy has championed our arts organizations and artists ensuring they had the resources – financial and otherwise – to serve the citizens of our state with the highest artistic quality. She developed several of the agency’s grant programs including New Realities, our nationally-recognized capacity building program for arts organizations in partnership with Arts Action Research; and a career development training program for artists in partnership with the Creative Capital Foundation. Most recently she developed the SmART Initiative’s pilot program, which has been so successful that it is now one of our signature programs and a national model on how the arts transform downtowns and fuel sustainable economic development. Nancy began her arts career forty-four years ago in Washington, DC, first at the Corcoran Gallery of Art and the Smithsonian Institution, and then at the National Endowment for the Arts, where she met Charles Reinhart and Mary Regan. Reinhart hired Nancy in 1980 to be the American Dance Festival’s Administrative Director where she served until 1988, when she was hired by Mary Regan to be Deputy Director at the North Carolina Arts Council. Her list of accomplishments is long, and her impact extends from North Carolina to the national arts scene. We’ll be setting a date this summer for her retirement farewell. In the meantime, I know you will join me in thanking Nancy for her outstanding service to North Carolina. Filed in Uncategorized | Tagged american dance festival, charles reinhart, Mary Regan, nancy trovillion, NC Arts Council, Wayne Martin | Comments Off on Happy Trails, Nancy Trovillion! A North Carolina author has won the 2019 Southern Book Prize in Fiction. 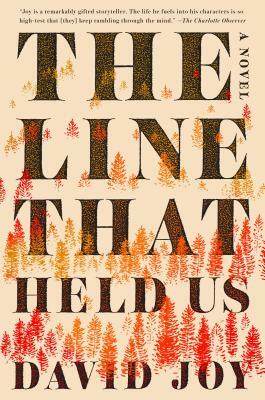 Joy is the author of the Edgar nominated novel Where All Light Tends To Go (Putnam, 2015), as well as the novels The Weight Of This World (Putnam, 2017) and The Line That Held Us (Putnam, 2018). He is also the author of the memoir Growing Gills: A Fly Fisherman’s Journey (Bright Mountain Books, 2011), which was a finalist for the Reed Environmental Writing Award and the Ragan Old North State Award. Joy is the recipient of an artist fellowship from the North Carolina Arts Council. His latest short stories and essays have appeared in Time, The New York Times Magazine, Garden & Gun, and The Bitter Southerner. The 2019 Southern Book Prize also was awarded to Rick Bragg in Nonfiction for The Best Cook in the World (Knopf) and to Jo Hackl in Children’s for Smack Dab in the Middle of Maybe (Random House). The 2019 Southern Book Prize, presented by the Southern Independent Booksellers Alliance, represents a change in both format and timing from past years. Previously timed to be announced in the summer, voting in 2019 began November 10 as part of the Love Your Bookstore Challenge Week, and was opened to Southern booksellers and their customers. Winners were selected by popular vote and will now be announced on Valentine’s Day. Over 2,800 ballots were submitted by Southern readers, representing over 150 Southern independent bookstores and confirming the Southern Book Prize as a true “Southern Readers’ Choice” award.